Yogurt is one of the most important nutritional foods to the body. Recently it has been proved to be beneficial for skin care as well. Mostly everyone knows the benefits of yogurt consumption. 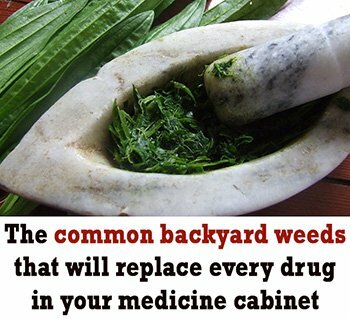 It is very good for the immune system and at the same time, the best natural food for digestion. Thanks to its high content in living bacteria which is beneficial to the body, yogurt can be applied to the skin too, not only ingested. In addition, many types of yogurt contain probiotics, some living micro-organisms that help maintain a balanced and healthy digestive system. Many studies have shown that women who eat yogurt are less prone to infection. Also active substances in yogurt reduce the risk of colon cancer, decrease high blood pressure and prevent osteoporosis. 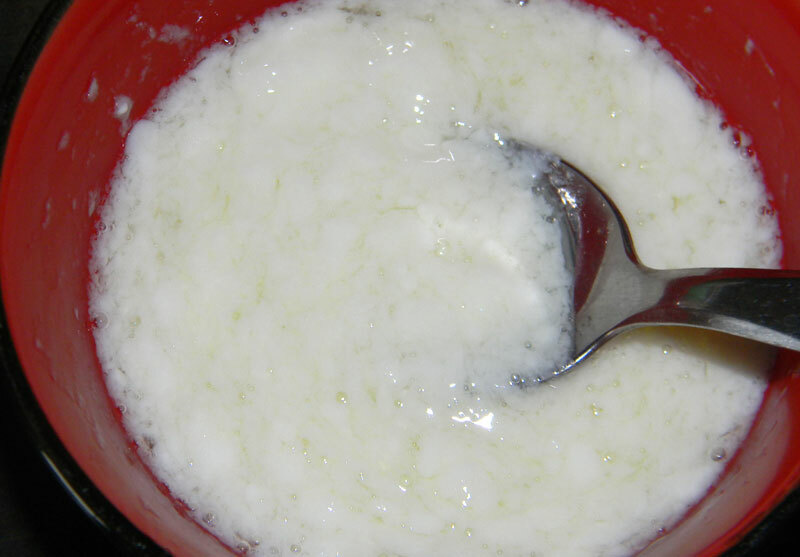 Yogurt can be applied to the skin for cleaning and moisturizing. It can be used on any skin type. Being rich in lactic acid, it is beneficial for mature skin as well. So, we can use yogurt and eggs to prepare a hydrating and cleansing mask, rated by model Shalom Harlow as “moisturizing and soothing”. Eggs are also good for the skin as they bring an important intake of protein, minerals and vitamins. 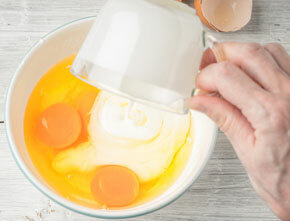 1 First of all, separate the egg whites, and whisk them in a bowl. After that add 2 tablespoons of yogurt (plain, not flavored) and mix well. 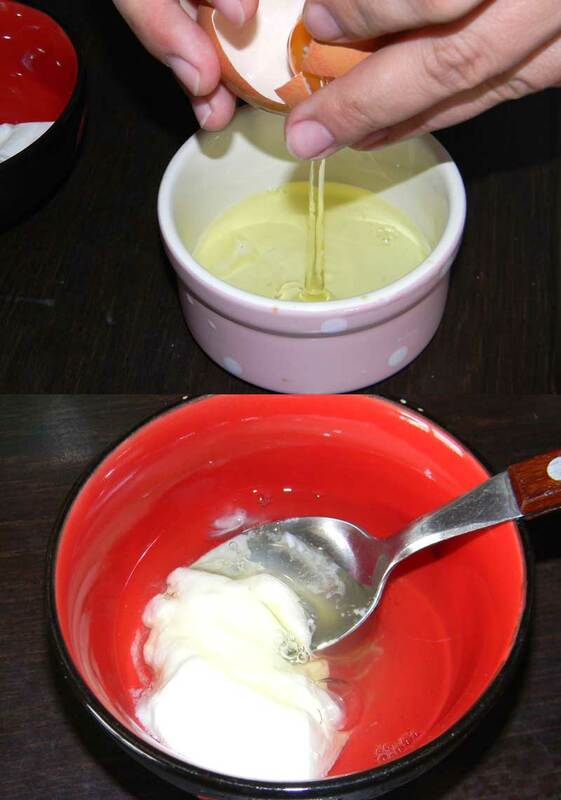 2 First, apply this mixture on the face with gentle moves, leave it there for at least 5 minutes. Then use warm water to rinse the mask and wipe the face with a warm towel. As you know, this particular mask is super easy to make. Just open the fridge, take a look inside and get the yogurt and eggs. What can be more wonderful than to keep your skin healthy and shiny with food? Both eaten or put on your face. I am positive that our great grandmothers also used this kind of treatments as they didn’t have innovative anti-aging serums to buy.